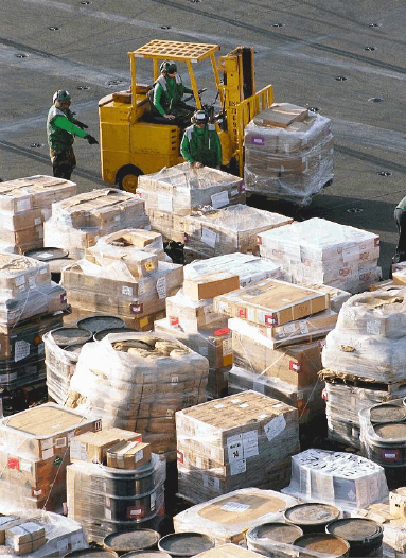 Human package "conveyor" aboard a DDG which cannot strikedown and stow palletized loads. 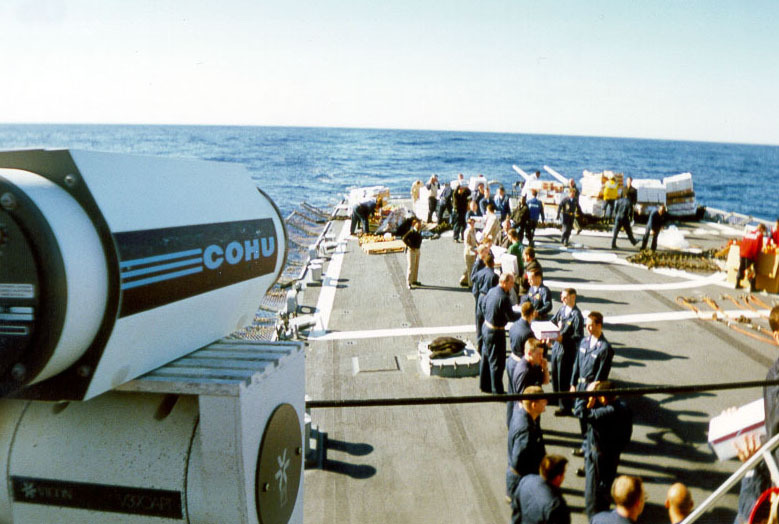 Package sized loads are moved from the rear flight deck to the internal vertical package conveyor which will move them to the correct deck level for stowage. 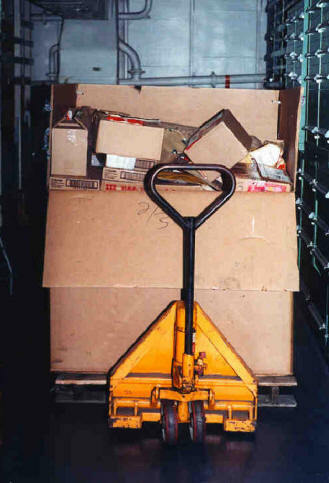 Below: Vertical Package Conveyor used to move individual packages between decks aboard ships without elevators.